Welcome to My Creative Time March Blog Hop! This week has been so fun creating and sharing with you this fabbie release! You should have arrived here from the super talented Kim's blog. If you just popped in to see me, then you'll want to head over to the start at Emma's wonderful blog with a video to share with you. 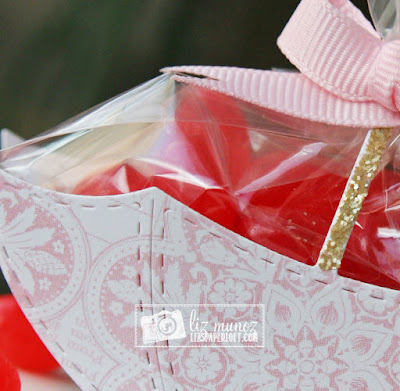 For my project I created a favor that would be awesome for a bridal or baby shower. To create this favor I cut two umbrellas using the large die. Next I cut a strip of the same pattern paper about 1.5" x 4". Then I scored length ways on both sides of the strip. In the center of the strip I scored two more lines going the opposite direction, this created a bottom for the favor. I used red sticky tape since it's super strong. Lastly I added some stickles and sequins for a bit of bling. ***SALE ALERT***ALSO, DON'T FORGET our sale starts RIGHT NOW here:http://shop.my-creative-time.com/Ne...! Use the code: MAR2017 to receive a discount off your entire purchase! This sale applies to "IN-STOCK" items ONLY. This sale will end on Fri, March 24, 2017 @midnight PST. YOUR NEXT STOP super creative NIKKI! So, so cute!! Love this!! What a great treat!! Such a darling treat!! Fun idea! Oh my, how cute is this! What a clever idea! I AM TOTALLY IN-LOVE WITH THIS!!!!!!!! GREAT idea!!! Thank you for your AWESOME sneaky peeks this entire week! Such a pretty favor...great idea! OMG Miss Liz WOW I'm totally awestruck over what you created. 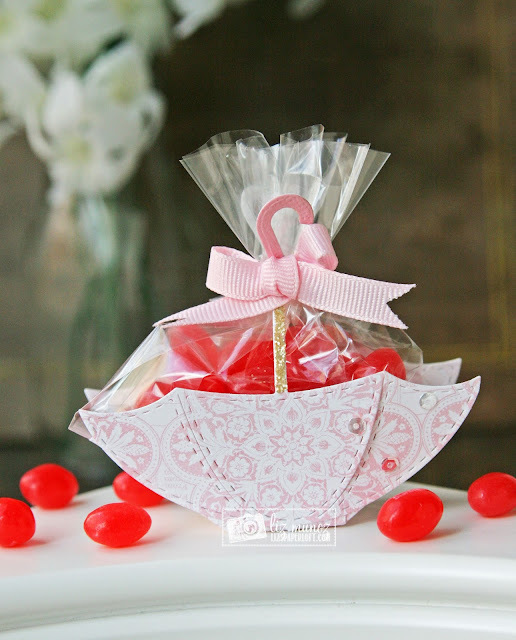 Your creative Umbrella Favor idea is Genius....I sure would've loved to have watched you create it...OMG how in the heck did you dream this up...Thanks tho for sharing your Awesome Recipe. Your Umbrella treat is Spectacular!! Definitely a Super Duper Outstanding Creative job!! WOW!! Cutest treat holder ever! Love this idea and I'm sure others will be using this for showers from now on! Thanks for a wonderful week of inspiration! You did a fantastic job with this. It is very cute! You always have the most fabulous idea, thanks for sharing your talent! Oh My! This is such a clever idea!!! A very unique way to use this cute die. Fabulous job. Your shower treat box is so super cute! I love it! Super cute treat holder, Liz!! I love your creativity!!! Love, love your adorable idea. Thanks for sharing. 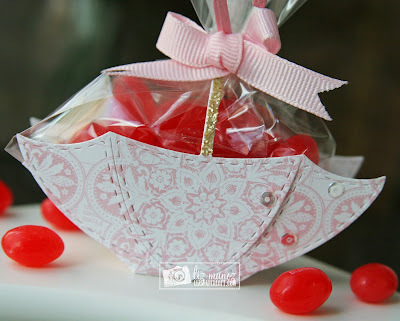 Love this idea for a shower favor! Pretty party favors! Love the umbrellas, and your creative use for the dies! Awesome release! LOVE LOVE LOVE this! What a fabulous extension for the already fabulous umbrella die! So creative and fun!